These playful storage bins were designed with the idea that children often prefer to play with their toys in other parts of the house besides their bedroom. 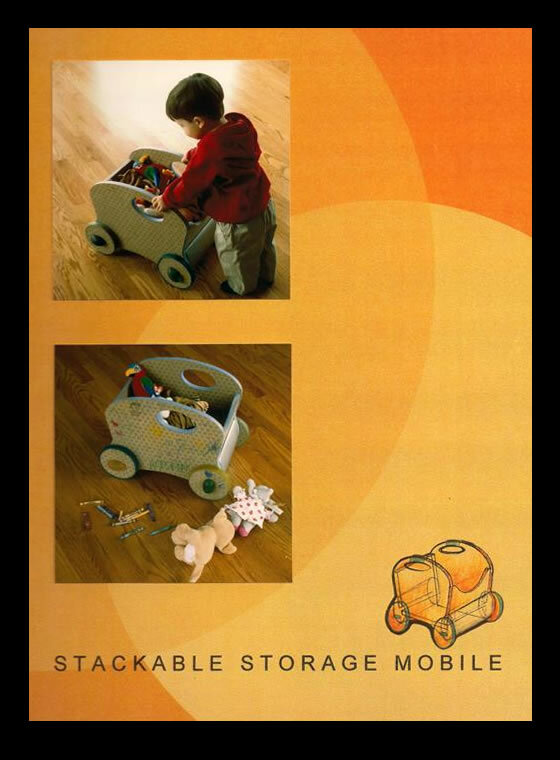 Creating mobile storage bins allows a child to transport their toys with fun. The bins become a race car, an animal or whatever a child's imagination wants them to be while on the move searching for a place to play. They are constructed from a structural light weight wood fiber product, and extruded aluminum. The extruded aluminum component is key to the design as it enables a slip-fit panel construction and makes for ease of assembly as well as recyclability. © Copyright by Iverson's Design. All rights reserved. Unauthorized reproduction is prohibited.